The Southern Arkansas University Foundation recognized those who have completed their endowments during the past fiscal year at the 18th annual Endowment Honor Wall Ceremony on October 18 in the Foundation Hall of the Donald W. Reynolds Campus and Community Center. This year’s ceremony was part of the Honor Society Dinner. Those recognized were Ralph and Margaret Weiser; Don and Jessica Adcox; Sharon Lee Miller Eichenberger; Kenneth R. and Vilma Norwood Crain; Alcoa; Margaret Brewer Memorial; Rex and Betty Dodson; and Richard E. and Celeste Muse Harton. Their names have been added to the Endowment Wall inside the Reynolds Center, joining honorees from previous years. At the end of June 2007, the combined endowments of the University and the University Foundation exceeded $21 million. This money helps provide enrichments that help the faculty, staff, students and all departments of the University. 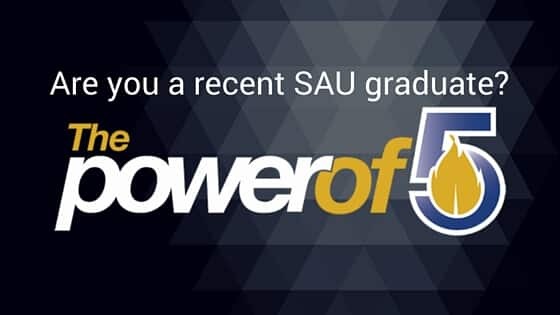 For information about how you can become a member of the Honor Society, call the SAU Foundation office at235-4078.